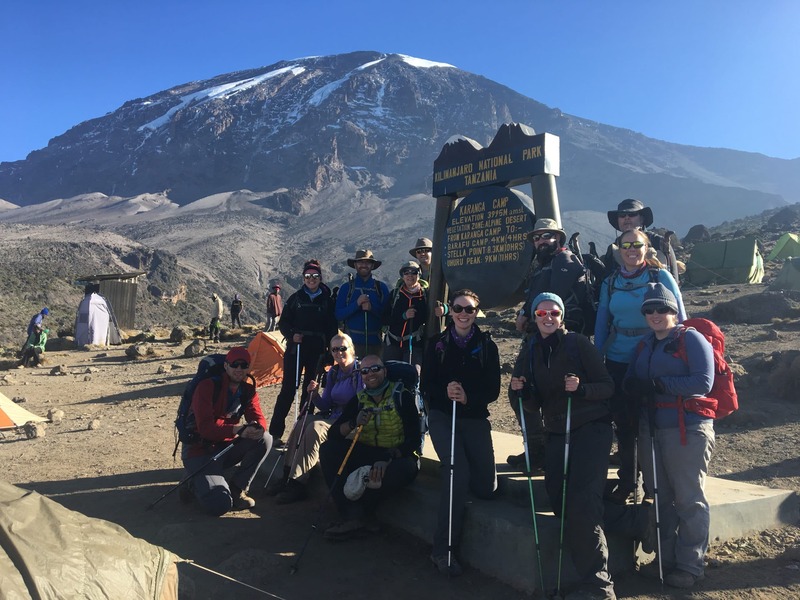 Implement these Top Tips while climbing Kilimanjaro and you will enjoy a safe and successful Kilimanjaro climb. 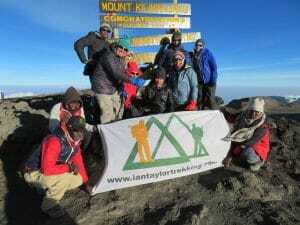 The best decision you made was to pick and Ian Taylor Trekking adventure climbing Kilimanjaro over 8 days on the Lemosho route. 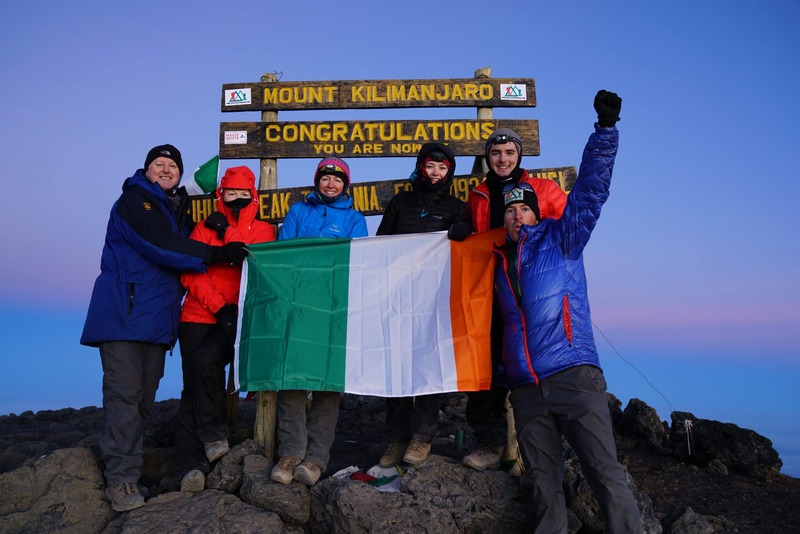 Ian has climbed Kilimanjaro 30+ times and we have leading over 1,100 people to the summit of Kilimanjaro. We also have a world class service second to none. We have quality food, equipment, tents and service you will not be disappointed by. We also pay our staff correctly. 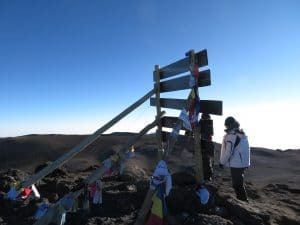 Implement these Top Tips while climbing Kilimanjaro and will give yourself a better chance at safely and successfully reaching the summit of Kilimanjaro. Think about your recovery. 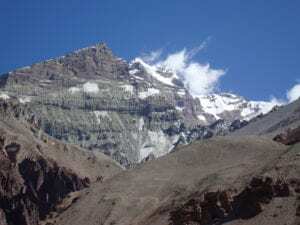 You are on a multi-day trekking trip in a low oxygen environment. This means your muscles and body will be under more pressure to recover with limited oxygen. To manage this correctly, you need to maintain a slow pace at high altitude. Regulating your heart rate is critical for success. There is no rush up the mountain. The more oxygen running through your body the better you will feel, recover and the safer you will be. The lower the heart rate the less pressure you will be under, you will sleep better, recover quickly and be in better shape. All I see is people huffing and buffing their way up the trail. 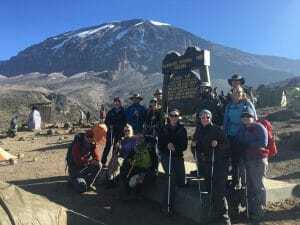 Our professional guides will pace the group correctly. All you have to do is stay hydrated, focus on where you are putting your feet and breathing correctly. When you are focusing on your breathing you should breath in through your nose and out through your mouth. Trying to stay in control of your breathing is really important. Stay relaxed in a nice controlled pace forcing oxygen in through your nose is really important. We will show you how to manage this on our trips. You really need to manage the cleanliness of your hands. 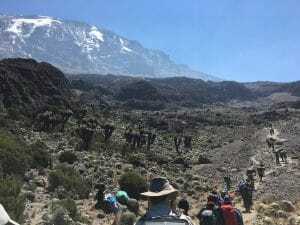 There is a lot of dust on the trails and you will get dirty quickly if you do not manage your hygiene. 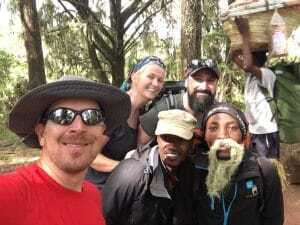 We recommend having hand sanitizer hanging off your ruck sack so you have access to it at all times. You never want to be handling food with dirty hands. That’s how you will pick up a stomach bug or worse. One of the most important things to remember to do is drip feed your body water. Hydration is critical to success. You should be drinking 4 to 5 liters of water per day. Males need more water than females. Drinking water on a regular basis is better than gulping water. READ MORE about hydration and climbing Kilimanjaro. 6). Stay protected from the sun. Your body is already changing because of the lack of oxygen. Your body is working to make sure your lungs, heart and brain are functioning correctly. Your stomach is getting smaller, oxygen is pulled from your extremities so keep your key bodily functions working. 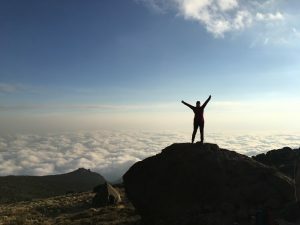 Why give your body more challenges. Stay out of the sun and do not get burnt. It will make it harder to recover and possibly give you diarrhea. 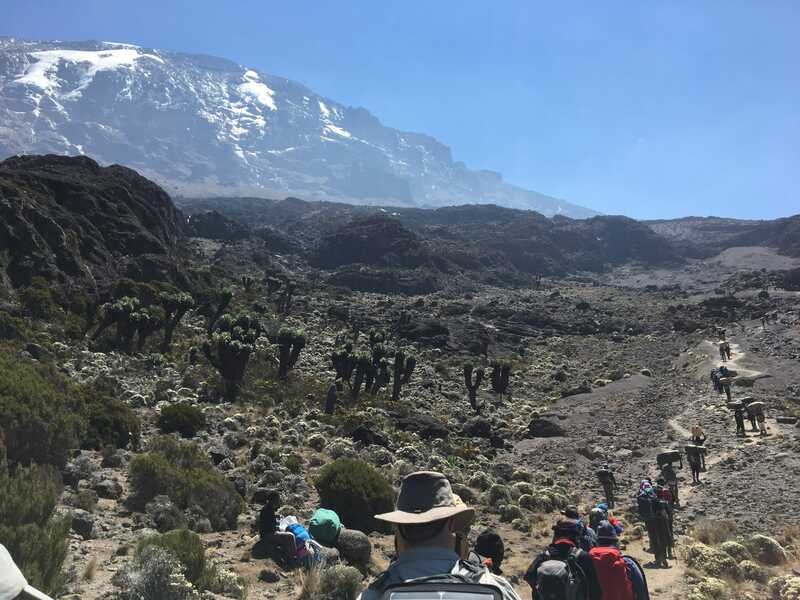 You also need to read our training advice, Best months to climb Kilimanjaro and read through our blog page for the best information on climbing Kilimanjaro. Also check out our Top 10 Tips in preparation for your Kilimanjaro climb. 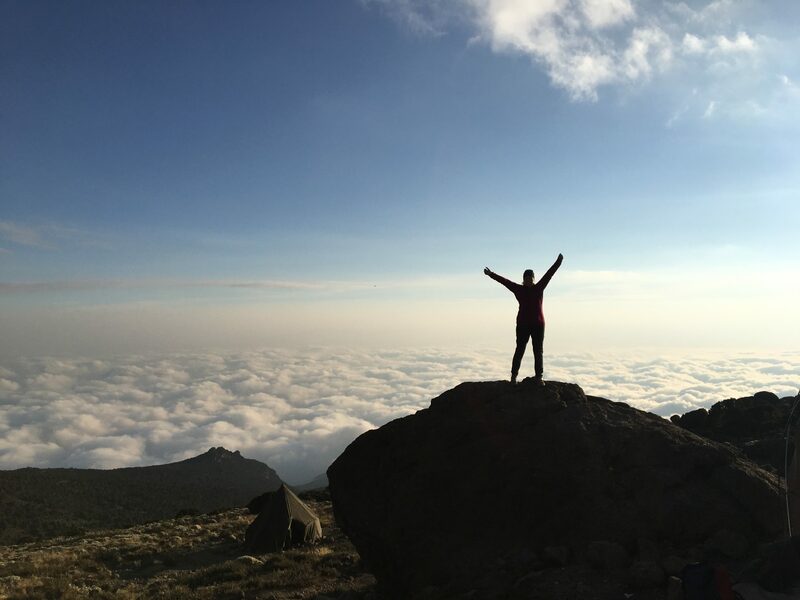 Implement these Top Tips while climbing Kilimanjaro and you will give yourself a better experience on the mountain. Why CALL US and learn from our experience.